SERPWARS: The BEST Facebook Advertising Agency in The GALAXY. Whether you’re a Local Service (our specialty) or a national multi-location dental group, we’ll help you conquer your ideal market. Using Google AdWords and Local SEO, we help you ensure that when someone around your business is searching for a company, service, or product like yours – they find you at the top of the SERPs..
Our segmented, granular approach to managing your digital marketing enables us to LASER target our ads to focus on the customers you've always wanted to tap into. Unqualified leads and tire kickers beware! You'll get the customers you want, and we'll exclude the rest from even seeing your ads, saving you money and increases conversion rates. “Second Place is just the First Place Loser” No one ever remembers #2, we help you easily outshine even your toughest competitors. Using AdWords, SEO, and Conversion Rate Optimization, we GUARANTEE that you’ll get more leads at a cheaper cost with us. Your competition won’t even be able to keep up once we turn your digital marketing into a mean, lean, high-powered, competitor-destroying, lead generating machine. 100% FREE, Personalized Facebook Audit by our Director of Paid Advertising. No Obligations, No Annoying / Pushy Salesman, No Automated Cookie Cutter Reports. Get Actionable Recommendations from a Pro on how to Convert More, Spend Less, & Profit with Facebook Advertising. We'll conduct a thorough FREE Facebook Audit of your Advertising Account to uncover any mistakes that could be wasting your budget every month. Here's where we analyze the quality of your Facebook Advertising Campaigns. We'll work with you to create an awesome Facebook marketing strategy. Based on the technical audit of your advertising account, we'll kick your Facebook Marketing into action to drive website traffic and sales. The more data we bring in to your Facebook Advertising Campaigns each month, the more we will perfect your marketing strategy for optimal results. WHY CHOOSE SERPWARS FOR FACEBOOK ADVERTISING? (Probably) - From 16-Person Bike Bar Rentals to Las Vegas Bail Bondsman to Restaurant Booth Manufacturing to Private Seaplane Charters, We've Worked in ALMOST Every Industry Imaginable. Our Extensive Experience in Facebook Advertising is Your Profit. Ever Wonder Why All the Other Marketing Agencies Promise You The World But Always Make Sure to Trap You Into a 12-Month Contract? Our Facebook Advertising Clients Stay With Us Because We Get Them RESULTS - Not Because They Are Trapped. Now That We Are in 2018, We Hope That No One is Still Directing AdWords Clicks to Their Homepage. We Build Facebook Advertising Campaigns that Turn Paid Clicks into Conversions Like Magic! 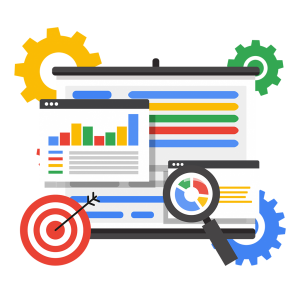 SERPWARS is a Google Certified EXPERT in the Search, Display, Mobile, Video / YouTube, Google Shopping / Product Listing Ads (PLAs), Google Analytics, Google Tag Manager, Google Web Designer, & More! We Build Conversion Focused Facebook Advertising Campaigns that Turn Paid Clicks into Conversions Like Magic! Increase Engagements, Build Your Audience and Reach, Bring in More Quality Traffic to Your Website, and Grow Your Business. 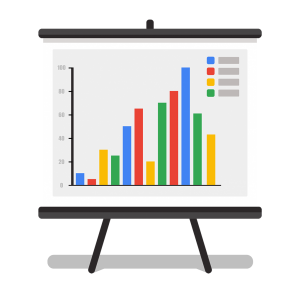 Our innovative, real-time reporting dashboard features all of the insights you would ever need to track and monitor the progression of your marketing campaigns. The industry leading technology incorporates live search data trends from your Facebook Advertising Campaigns. Our FREE Facebook Advertising Audits Will Save You Thousands for $0. We’ll Help You Convert More of Your Best Customers, Stop Wasting Your Ad Spend, + Grow Your Business Profitably. Contact Us Today for Your FREE Facebook Ads Audit! WASTING MONEY IN FACEBOOK ADS? 100% FREE, Personalized Facebook Ads Audit by our Director of Paid Advertising. No Obligations, No Annoying / Pushy Salesman, No Automated Cookie Cutter Reports. Get Actionable Recommendations from a Pro on how to Convert More, Spend Less, & Profit with Facebook Ads. SERPWARS is a Google Certified in Search, Display, Mobile, Video / YouTube, Google Shopping / Product Listing Ads (PLAs), Google Analytics, Google Tag Manager, Google Web Designer, & More! Ever Wonder Why All the Other Marketing Agencies Promise You The World But Always Make Sure to Trap You Into a 12-Month Contract? Our Clients Stay With Us Because We Get Them RESULTS - Not Because They Are Trapped. At SERPWARS, We're All Official, Certified Google Partners. In Addition to Being Google Partners, We're Also Certified 2018 Google AdWords 5pecialists (certified at an expert level in all 5 of Google AdWords' main platforms). 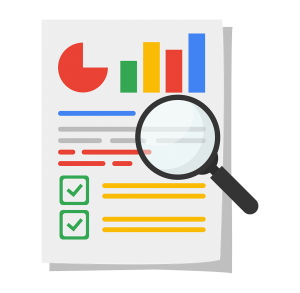 Our FREE PPC AUDITS Will Save You Thousands for $0. We’ll Help You Convert More of Your Best Customers, Stop Wasting Your Ad Spend, + Grow Your Business Profitably. Contact Us Today for Your FREE PPC Audit! Now That We Are in 2018, We Hope That No One is Still Directing AdWords Clicks to Their Homepage. 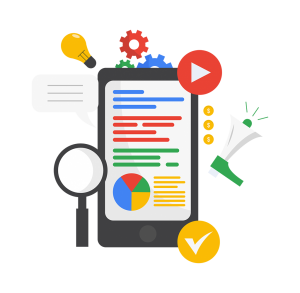 We Build Conversion Focused, Mobile Optimized Landing Pages that Turn AdWords Clicks into Conversions Like Magic! Contact Us Below & Take the First Step Towards Growing Your Business.